Florence. Firenze. Birthplace of the Renaissance. Medici. Savonarola. Dante. Galileo. Michelangelo. Da Vinci. Whether walking the cobbled streets of the city centre, or seeing the city from afar (like in this photo) it is impossible not to be mesmerized by it. This shot was taken from high up at Piazzale Michelangelo about 20 minutes (bus ride) from the centre. I waited a couple of hours from sunset to twilight to get the lighting I was looking for. And the wait was worth it. Blog series on Tuscany coming soon. 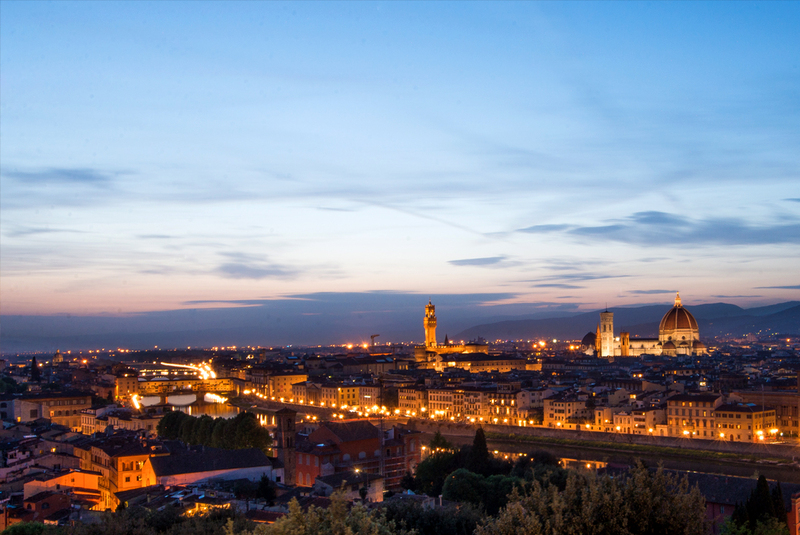 Firenze emanates a golden glow at twilight. This entry was posted in Best of 2013, Italy and tagged Best of 2013, Firenze, Florence, Italy, photography, Tuscany. Bookmark the permalink.